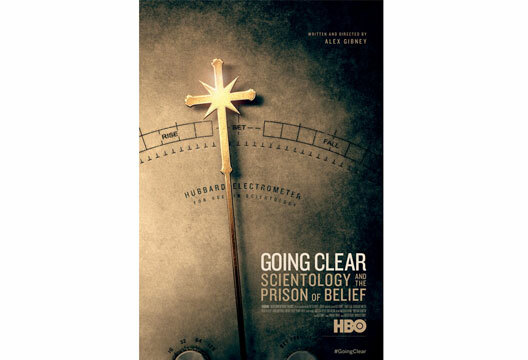 Kate Johnstone reviews a documentary directed by Alex Gibney, 'Going Clear: Scientology and the Prison of Belief'. The director of this new film has a long and impressive career as a documentary-maker. From paedophilia in the Catholic church (Mea Maxima Culpa) to the creation of Wikileaks (We Steal Secrets) and Lance Armstrong's doping career (The Armstrong Lie), Alex Gibney has long been interested in truth, lies and self-deception. That he has made a film about Scientology should come as no surprise. The film falls broadly into two parts, with the first half examining how L. Ron Hubbard came to develop his ideas. Just by itself, this part is fascinating, especially if (like me) you were only vaguely aware of his science fiction writing career, and completely unaware of his personal life. Hubbard does not bear much resemblance to the character he supposedly inspired, Lancaster Dodd, in the 2012 film The Master. Dodd is sophisticated, charismatic and self-knowing. But in the footage unearthed by Gibney, Hubbard comes across as all bluster, a compulsive story-teller who is aware, on some level, that he has lost the ability to tell his stories from his truth. There is the sense of Hubbard desperately seeking answers to questions that psychology or psychiatry were still poorly equipped to address in the 1950s. His book Dianetics: The Modern Science of Mental Health was what he came up with, and it was a best seller. The Church of Scientology followed soon after. It is interesting to see the development of auditing, a key component of Scientology and the only way in which a person can 'go clear'. It struck me as akin to a form of counselling, with an element of the church confessional. After Hubbard¹s death in 1986, leadership fell on David Miscavige and the Scientology we are perhaps more familiar with appears: the Hollywood connections, the battles with the IRS, and an extreme resistance to anyone leaving the organisation. Less familiar accusations, including exploitation and physical abuse, are also made. Intertitles inform us peatedly of the right to reply offered to Scientology. On occasions it is hard to know whether to laugh, cry or simply be appalled at what the ex-Scientologists interviewed say. Is it the individual or the collective that is responsible for creating the 'prison of belief'? Going Clear premieres on Sky Atlantic on 21 September.